Estate Planning Cedarhurst: Avoid Common Gifting Mistakes! Gifting Assets to Your Children: Avoid These Mistakes! As you grow older, have children, and watch them grow up, you are bound to start thinking about how you can gift them your assets and property. With many complicated tax laws and gifting implications, passing on your financial assets is not as easy as writing a check. There are common mistakes that people make when gifting money to their children, and hopefully they can help you learn what not to do. Read on to find out more about gift giving mistakes and how to avoid them. Gifting too much too soon. Sometimes you are so eager to pass on assets to your children, and get them started with savings and investments, that you might overlook your own future expenses. Putting too much money into trusts and investments, or giving too much in cash over the years, could hurt in the long run. You need to consider your future financial needs, and how your age, health, and unforeseen circumstances could affect those amounts. There are options for gifting that will ensure that you have enough throughout your life, and that your children are setup to inherit the most possible in the future. 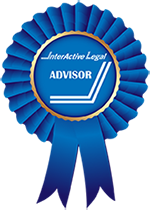 Meeting with a seasoned lawyer can help you figure out the best option for your situation. When certain assets appreciate, you will eventually need to pay capital gains tax on them. If you gift your children an asset like company stock, they will also inherit the cost basis of the asset, and need to pay capital gains taxes. If you gift stocks that have grown a good amount, you could be passing on the burden of a large payment as well. Consider saving stocks that have a high appreciation to pass on after your death, and the cost basis will be stepped up to the value of the stock, meaning that there will be no capital gains if the asset is sold right away. This will increase the gifting value of your stock, and ensure that your children get the maximum benefit. Make sure to keep capital gains taxes in mind when thinking about passing on stocks and other assets. Unfortunately, divorce is becoming more and more common in this country, and you are bound to know someone who experiences divorce in their life. If you give your children assets and they do not have a prenuptial agreement, their spouse could end up with half in the case of divorce. Ensuring that your children have prenuptial agreements is one way to protect any assets you give them, or setting up a trust that only they have access to after your death. Be mindful that the assets you pass on to your married children are passed on to their spouse as well. You may consider gifting your home outright to your children to avoid them having to go through probate after you die. While you might avoid probate, you could end up with those capital gains taxes we spoke of earlier. If you have owned your home for a long time, it has surely appreciated and now your child will be responsible for paying the capital gains taxes on that appreciation. In this case you would want to put your home into a revocable trust with your child as the beneficiary. The benefit of a trust is that your child will inherit the house at its current value and avoid paying all of those capital gains. Another option is to put the home into a “life estate”, where you sell the property to your child but you still live there until your death. This can shield the home from a good amount of tax, and you can keep a certain amount of the profit without paying the capital gains tax. Not paying attention to the gift tax. You can give financial gifts to your children while you are still alive, but if they exceed $14,000 annually they will be subject to the gift tax. What many people don’t realize is that gifting property, such as their house, also falls under the gift tax rule (just changing the name on the deed can trigger this tax). Whatever the value of your home is, and let’s say it is $1,000,000, your child will be taxed on that amount. There are ways to plan for gifting your home that can avoid this tax, and maximize your gifting power, but you should consult with a professional to make sure you have a good plan in place. Leaving property to a minor child. If your children are still young, you should have a plan in place for how assets will transfer to them in the event of your death. If your children are under 18, any money will be paid to their guardian, and that may not be the person you want inheriting your assets. When your children turn 18, a large inheritance can be a bad idea as well, and they may not be mature enough to handle a big sum of money. There are ways to plan for your child’s future inheritance, and make sure that important expenditures, such as education, are accounted for. You can plan ahead for a child with bad spending habits, future divorces, or future creditors or lawsuits. Because these matters can be complicated, meeting with a skilled estate planning lawyer is a necessary step. Not thinking about the “kiddie tax”. This tax was created to keep parents from sheltering their money under their children’s names without taxation, and you need to watch out for it when giving minor children financial assets. Unearned income (gifts) that your child receives from you will be taxed at the kid’s tax bracket up to $1,000 and once it hits more than $2,000 it will be taxed at the parent’s tax rate. So you can’t just give your minor children as much money as you want to divert it from your taxed income, and you should get legal advice to help avoid paying too much kiddie tax. Also remember that once your child is no longer a minor, they have full access to that money, and that can be overwhelming for some kids at that age who are just learning how to manage their finances. Not having any estate plan at all. Probably the biggest mistake you could make when passing money to your children is not having any plan at all. Just hoping that your assets will transfer the way that you envisioned is not good future planning, and your children will probably lose money through taxation. Even worse, your assets and property could end up in probate for a long period of time, and cause your children frustration and extra work. Make sure you have a plan, and that you aren’t taking chances with the way your assets will transfer to your children. Katz Law Firm would love to help you plan for the future, and ensure that your children get the maximum amount of your property and assets as they can. We can help you carefully consider the future implications of your decisions, and walk you through different possible scenarios.We all want our children to inherit our wealth, but it is not as easy as simply handing over cash or a check. 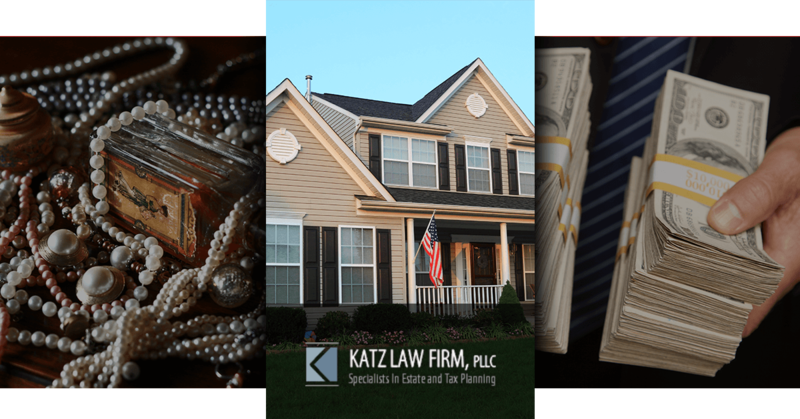 If you are in Cedarhurst, turn to the estate planning experts at Katz Law Firm—call us today!